If you require adhoc daytime weekday and adhoc emergency placement services and babysitting services to assist when your normal childcarer is ill or unavailable, or your child is ill this service option is the solution you have been looking for. Guarantee of service should at least 2 working days’ notice of booking be provided of booking, however we have been known to supply service in as little as 2 hours. Provision of experienced, educated candidates who are capable of providing supervisory/custodial care of children for once off assistance over weekend or for evening care during the week after 6pm from Monday to Friday or over a weekend. Most of the staff we provide, have a tertiary education which is childcare related. All candidates must have completed a level 1 first aid when joining Sitters4U or must have completes a level 1 First Aid course within 3 months of joining our team. All of our sitters have their own transport and in a crisis situation will be able to respond effectively and quickly ensuring your children will reach either a doctor or hospital in rapid response time. Experience and references: Candidates must ALL have at least 1 year’s child care experience with contactable references. Although, most have 3 to 10 years of experience or more. Vehicles: ALL of our candidates have their own vehicles and driver’s licenses. Education: We require ALL staff to have a minimum of matric, however many have a University or a childcare related tertiary education. References: ALL candidates are personally reference checked. Criminal Clearance Certification: ALL candidates must submit a criminal clearance certificate at their time of application for listing with us. If you would like to request new criminal clearance checks, this can be done at an additional R 350 per check requested and will take up to 10 working days to clear. First Aid: We require that ALL candidates either have completed a SETA approved first aid course or that they sign up for a course when joining our team. Personality: We prefer working with candidates who are dedicated, organised, friendly, energetic, creative, patient, active and caring. (Normal pricing: Registration: R 500 + Placement: R 1000 to R 3000 or 30% of total due to candidate over total period worked per booking whichever is higher). (Normally R 700 per 5 booking bundle). The Hourly rates are paid directly to the sitter in cash. Rates vary depending on the candidate's experience, education level and the number and age of children requiring care, anywhere from R 80 to R 200 per hour. You can view the rates calculator by clicking here . Please note we do provide discounts dependent on period and times booked. We do not allow clients to interview candidates for babysitting services as we cannot guarantee the same candidate will be available on each occasion. All candidates have been professionally screened for you. On your first booking we will instead provide a number of candidates’ profiles for you to choose from. We recommend you choose your two favorite candidates. We will then always try to book your most preferred candidate, for future bookings with the secondary option being booked if your regular candidate is unavailable. In this way, we aim to build long term relationships between families and candidates. When making daytime, weekday bookings, it is important to understand that candidates available to assist you are those currently seeking work long term, or simply available for a few days for whatever reason. Will I get the same sitter every time? We try to ensure this, but obviously cannot guarantee it. By giving as much notice as possible for bookings, this will increase the chances of having the same candidate booked every time. How much notice should I provide for my first booking? We recommend 2 to 5 working days’ notice in order to provide us sufficient time to source candidates for you to choose from, however we have been known to supply service in as little as 2 hours. If my babysitter is present for 2 hours and 30 minutes, do I pay less for the last hour? No. Fees are paid on an hourly basis, no concessions. Monthly fees are paid to Sitters4U. Babysitting (after hours and weekends) fees are paid in cash to the sitter directly on completion of the booking. 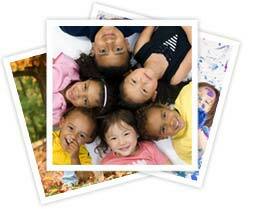 Short term placement candidate fees are paid to Sitters4U for processing and are paid on confirmation of booking. Cancellations will still be deducted from your available bookings as the booking fees cover our cost in making the booking and providing you with ongoing access to suitable candidates. Must I contact Sitters4U to make a booking or do I call the sitter directly? You must always contact Sitters4u before contacting any sitter. How do I make a booking after I am registered as a client? Is there a minimum booking time? Do I pay more the night before a public holiday or on a public holiday? Click here to sign up to use this service.